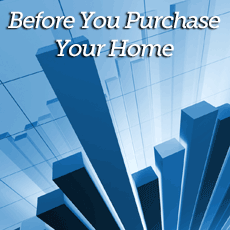 Buying your first home is an excellent decision. But you may want to improve your credit score now that you are putting the plan into action. When you apply for a loan, you will want to be in the best financial position to get a good deal. The one thing that will disrupt your efforts most quickly is a rejected loan application. To make sure you can qualify, boost your credit score and optimize your credit reports before you begin house hunting. Your credit score will improve when you make regular payments and reduce the balances of outstanding loans. Read your credit reports – The three major credit reporting agencies TransUnion, Experian, and Equifax, have to provide a free copy of your credit reports once a year. Download from the web at annualcreditreport.com and read these agencies say about you, it can be an eye-opening experience. Inventory your liabilities – Your credit reports should have all of your borrowing and outstanding debts listed. These documents can run to dozens of pages. Dispute any anomalies – Credit agencies have been known to record inaccurate and false information about consumers. Read your reports with a skeptical eye and be prepared to challenge inaccuracies. Getting incorrect data removed might make a difference in whether you get a loan or how much interest you pay. Free credit scoring services – Your Fair Isaacs and Company or FICO Score is a mathematical calculation of your credit worthiness. FICO gives you a snapshot of your credit condition where higher means a better chance to get your mortgage application approved. Some services charge to give you this information, but you can get it free on the web if you shop around. Credit monitoring – If you are concerned about credit fraud, consider paying for credit monitoring by one of the big three credit agencies or FICO. Write it all down – Create a budget on paper or use a spreadsheet application. You get a much clearer picture of what you owe when you see it all on one page. A budget will also help you make a plan to reduce your debt and improve your credit score. Online budget managers – Subscription based online budget management services like Mint.com by Intuit will help you organize your personal finances and make a budget. Spend less – Cut your living expenses by any means necessary. It may take some ruthless self-discipline, but it will open up the world of home ownership to you. Earn more – Become the resident expert at volunteering for overtime, get a second job, or a gig that gives you extra income and pays everything toward reducing high loan balances. Also, the time you spend working you will be spending less money. Rent-to-own programs – Ask your local agent or broker about leasing programs that give you the option to buy later. Rent-to-own may help you secure the right terms and give you the time to organize your finances. Renegotiate your interest rates – While it might seem unlikely, call the customer service desk and ask. If you offer to make larger payments in return for a lower interest rate they might agree to new terms. What do you have to lose? Seek alternative lending sources – Consolidating loans and credit cards may offer you the chance to pay down balances more quickly. Paying less interest means you can take bigger bites out of the principal. © 2019 Alliance West Financial All rights reserved.